Several days ago I posted a picture of my pretty pink sugar soap and explained I used titanium dioxide to help with the discoloring. Well a few days have passed and the soap has changed in color. 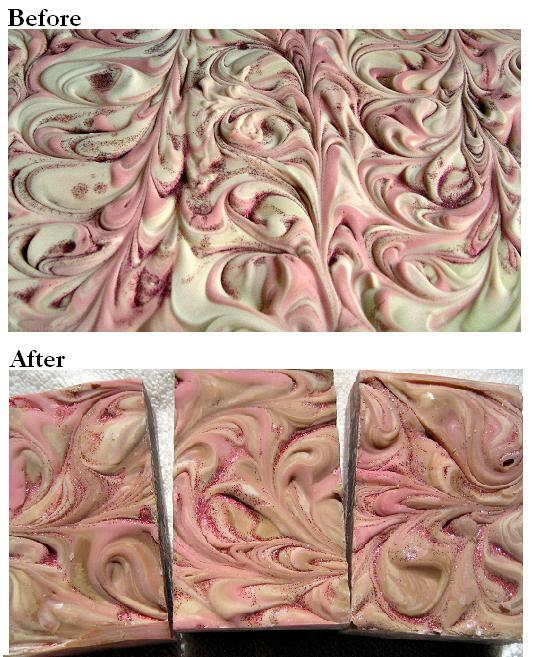 Although I loved the looks of the soap when it was just pink and white – the brownish/pink soap is pretty to. Conclusion to this story is that titanium dioxide can only do so much in preventing discoloring when using certain fragrance oils. When working with those dicoloring fragrance use it to you advantage and treat is as not only a fragrance but as a colorant to.